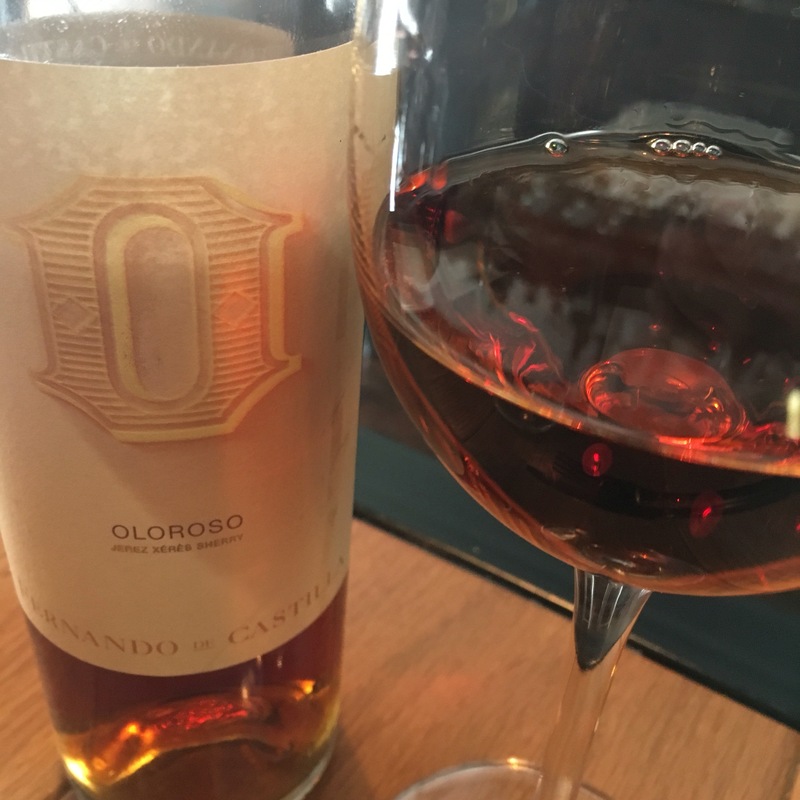 Another very enjoyable, clean and elegant oloroso here – you would have no difficulty spotting the relationship with last week’s palo cortado. In fact I think this might be even better. First, a whinge: for such a modern, high quality and forward thinking bodega I am extremely underwhelmed by the fichas (and you know I don’t enjoy having to research my posts). However, after some scratching around on the internet I gather that this is from a relatively young solera started in 1972 and the wine too is not overaged – around 20 years old. Interestingly, the palomino grapes involved were apparently “soleada” (literally, left in the sun” ) for a few days before fermentation – something that wasn’t uncommon back in the day but you don’t see often now. The wine is a beautiful clear, auburn in appearance and has a nice, sweet nutty nose. On the palate it has very nice compact profile, toasted nut flavours, nicely integrated acid and touches of nutmeg spice and sweetness that lift it out of the caramel/burnt caramel run of the mill. Very clean – no astringency or dustiness about it – but nice and long, a really pleasant sucked toffee taste that lasts nicely. What I love about these clean, balanced and elegant wines is how versatile they can be. I had this in La Chula and I have to say it was perfect with a range of dishes – navajas a la plancha, corvina and chuletitas – it didn’t intrude on any of them and really added to the corvina and the chuletas. Elegance personified – give me more olorosos from youthful soleras!